Natural ingredients are good for solving many beauty and skin problems. You can make and use your own beauty products like masks, scrubs, lotions, etc. using common household products to help improve skin disorders and detoxify. It is really very easy and simple. The milk is great as a body moisturizer serves are skin exfoliant. Take a milk bath by adding a bottle of full fat milk in a bucket of warm water. To make your skin fairer, apply raw milk on your face and neck and leave it for 10 minutes and then wash. You could also add a bit honey in milk. Drinking milk width honey is also beneficial. A mix of milk, honey and lemon juice acts as a mild bleach for the skin. Raw milk is an excellent cleanser. Dip a cotton ball in raw milk and wipe your face. Wash with water after 5 minutes to make your skin supple (cracked lips natural remedy). Scrubs and masks made of whole grains like oatmeal, gram flour (besan), quinoa or simply refined flour (maida) are great for exfoliating, hydrating and smoothing the skin. These are used as age-old remedy for many beauty problems like skin smoothing, improving skin complexion (skin complexion remedies), moisturizer, etc. for all skin types. Soak some oats in warm water and after some time press the oats with finger. Use the water to wash your face. You can also grind the oats to make a mask. Make a besan, turmeric and sandal wood powder paste in milk and apply on face to lighten the skin tone. Banana is the king of fruits so far as the body care and beauty problems and remedies for skin and hair concerned. Its soothing, nourishing and moisturizing pulp can prevent wrinkles, skin exfoliation, skin-tightening, treat cuts and bruises, whiten teeth and improve damaged hair. Mix some granulated sugar in one ripe banana pulp and make a paste. Before taking bath, gently massage your body with this banana paste. Then wash with warm water. To whiten teeth, rub banana peel on your teeth for about two minutes every day. Rub banana peel on the skin to reduce the itching due to insect bite. Papaya is good for beauty problems. Cucumber is a top antioxidant which is extremely effective in relieving dark circles under eyes, repair of skin and improving skin complexion. Mix a teaspoon juice of cucumber with equal amount of honey or lemon juice and apply on face and neck to get fair skin within a few days. 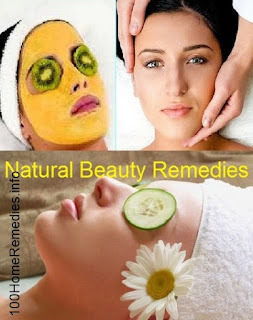 You can simply place a slice of cucumber on eyes to cure eye puffiness and dark circles. Strawberries, rich in vitamin C and malic acid are good for skin toning, cleansing and improving fairness. For a natural blemish remover and teeth whitener, grind strawberry, baking soda and lime juice and apply on face. Wash after 5 minutes. Papaya is a great way to infuse C and E vitamins into your skin and hair, and exfoliate, soften and tone your skin all in one blast. 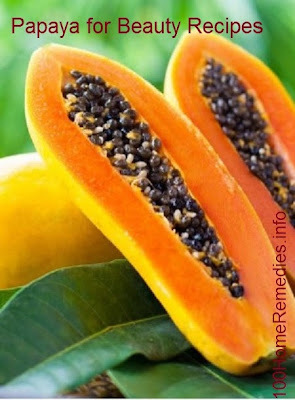 Papaya with its enzymes can make your skin glow and give a shine to your hair mask. Blend 1 papaya puree, 1 teaspoon fresh orange juice, 2 tablespoons raw melted honey. Apply to face and neck thoroughly. Wash after 10 minutes. I grow my own papaya in my backyard. Avocado is a good source of vitamin E, mineral, antioxidants, amino acids, proteins and natural oils, and is a natural moisturizer. It is very useful in beauty problems and can be incorporated in beauty remedies. The whole of the avocado fruit including its seed has uses. Avocado helps reduce wrinkles. 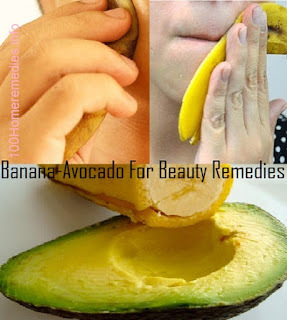 Just apply mashed avocado to your skin as a facial mask to get super smooth skin and reduce wrinkles. Massage your scalp with mashed avocado to heal, nourish and improve the overall condition of your scalp and hair. The powder of the avocado seed can be used as a natural dandruff treatment. Apply mashed avocado mixed with olive oil to your rough skin areas like heels and elbows and leave for about 5 minutes to make skin soft and supple. This vitamin E rich oil is a great moisturizer for brittle hair that will make your hair shining and soft. Massage your scalp and hair with olive oil, working from roots to ends. Cover head with a shower cap for 10 minutes. wash your hair with shampoo and conditioner. Coconut oil has healing properties for skin, body and scalp. It has been used in many countries including India to promote hair growth and keeping the hair dark black. Massage your scalp with pure coconut oil regularly for great shining black and dense hair. Vinegar is used for many skin problems including blemishes, itchy skin and sunburn. It can be used in beauty recipes such as facial toner, sunburn relief (sunburn natural remedies), and hair rinse. Add some apple cider vinegar in a cup of water water and apply it on the face to tighten skin. You can apply this mixture on your hair after shampooing and then wash with a conditioner. This will make your hair shining.